Drawing from research and teaching at leading arts research centres around the world, such as the MIT Media Lab, this module develops the mathematical and computational framework for analysing and synthesising audio-visual materials for application in digital media arts. Topics include multimedia signals, filters, multimedia synchronisation, structure and interpretation of audio-visual synthesis algorithms and multimedia content organisation and information retrieval using MPEG-7. 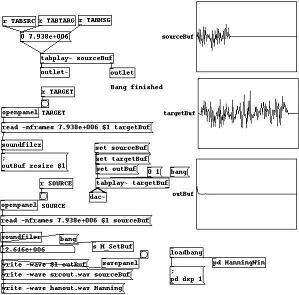 Assessment in the module will comprise evaluation of a significant audio-visual project using real-time synthesis software (Max/MSP, PD, C-Sound, MPEG-4 SAOL). 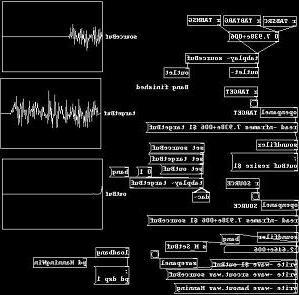 Examples are digital audio processors, interactive video works, synthesisers, electroacoustic sound compositions, etc., demonstrating in-depth understanding of one-or-more audio-visual signal analysis / synthesis techniques. Perception: light, sound, frequency ranges of eye/ear, decibels, power, cochlea models, retinal models.